Publisher's Notes: After the Storm is a series of novelettes that take place at relevant points in the immediate months and years after Eye of the Storm. They concentrate on the healing our characters need to go through after everything that happened. They all stand on their own and do not need to be read in any order, nor do they need to be read to understand any of the other series set in this world - they are additional reads for fans. And for anyone who doesn't wish to read them, the healing simply takes place off-stage. 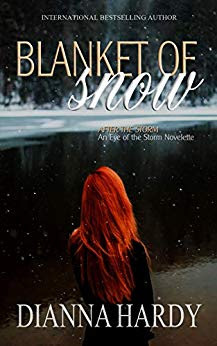 Blanket of Snow is a novelette in a new series called After the Storm and is an off-shoot of the Eye of the Storm series. Lydia and her three mates, Lawrence, Ryan, and Taylor, have weathered the storm that threatened to tear them apart. 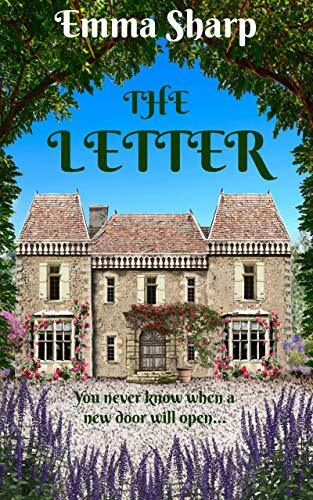 In this novelette, Lydia is hiding a secret and worried about it being exposed, and what her mates would think about it. She flees into the woods and stumbles onto a mystery - a deserted house with a terrible history. As snow begins to fall, Lydia must find the courage to face the future while dealing with the tragic past. I've been wanting to read more about the mated four, so when I heard that this novelette was in the works, I was excited. It is hard to write a review to this book without giving out spoilers, so all I will say is that I loved this story. Told through Lydia's POV, it was a pleasure meeting the four wolves once more. I was a little disappointed that this story is only a novelette but glad that the author decided to write it to show a little more closure for the characters, as the two spin-off series continues without them (much). I am looking forward to reading the next novelette in the series - I think it's from Taylor's POV and I can't wait! Dianna Hardy is one of my favourite romance authors (she writes both paranormal/urban fantasy and contemporary romance), she has a way of expressing so much emotion through her written words - they're incredibly moving. I love her writing style, which is fast paced and exciting. The flow is fantastic too. Reading her books are a joy, and I will continue to read them for as long as she keeps writing them. 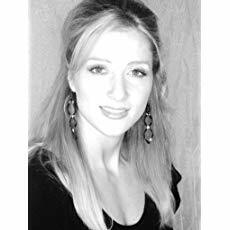 Dianna Hardy is a UK-based, international bestselling author of The Witching Pen series, and the Eye Of The Storm series. 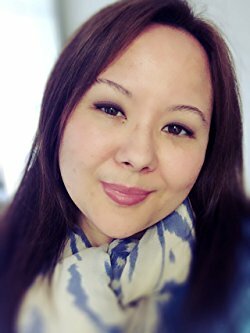 She combines a titillating mix of contemporary and paranormal romance, as well as urban and dark fantasy, into her writing, to bring you stories that are action-packed, fast-paced and not short of heat, with the focus on both character development and the plot. She writes full-length novels and short fiction. She has also written poetry (first published in 1997) and esoteric books and articles. Nowadays, she chooses to concentrate on writing fiction. In December 2012, Releasing The Wolf hit the Kindle Paranormal Fantasy charts in both the US and the UK, where it stayed for three months, enjoying a highest ranking of #20. 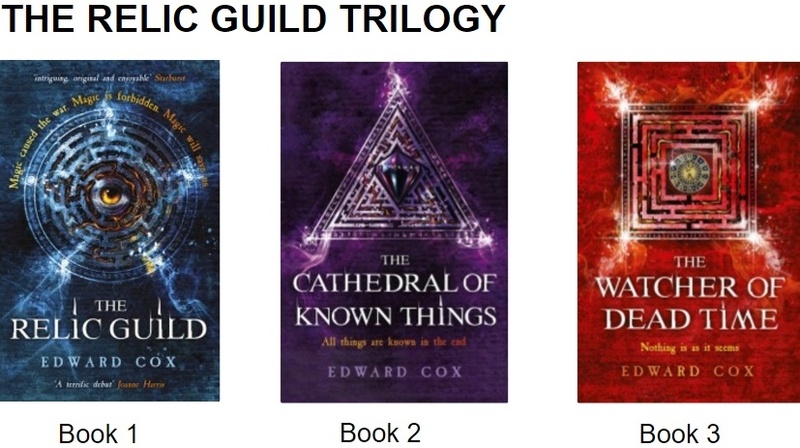 The first two books in the Eye of The Storm series have enjoyed success in the top 100 of Fantasy charts on Kindle US and Kindle UK, and all books in the series to date have reached the top 100 of the Fantasy iTunes charts in the Netherlands, Norway, Australia and the UK, with Heart Of The Wolf (book 3) reaching #1 in Denmark. The Witching Pen series, 'Til Death Do Us Part and A Silver Kiss, have also hit the top 100 of Kindle and iBooks charts (Fantasy, Romance and Horror) in a number of different countries worldwide. Although quite active online, Dianna prefers the quiet company of nature and animals to the hustle and bustle of people. She loves anything paranormal (she doesn't really consider it "para"), organic food, walking barefoot, the smell of the woods after rain, and summer days. However, she is also sustained by coffee, chocolate and the occasional vodka. Having graduated from Richmond Drama School (London) in '98, she spent the next few years in a multitude of jobs (both acting and non-acting), studying anything that fascinated her, searching her soul, and finally found her passion where it had always been: at the end of a pen. She currently lives in South Hampshire, UK with her partner and their daughter, where she writes full-time. Unfortunately, as this author is new, I am unable to locate any information about her nor any links to share. I believe the author uses is a pseudonym though. Today, I am pleased to bring you a memoir of one woman's journey charting her challenges as she begins a new life as a wife and mother. Born in the Bed You Were Made is an inspiring tale that delves into the world of pregnancy and a traditional health care system (midwifery) which has many challenges to face in modern western society. The author, Brooklyn James, also explores the inner battle women face - instincts, if you will - of birthing at home and/or the expectation of going into hospital. Emotional and touching, this book also speaks of her strength of character. She has faced many difficulties but has risen above them in such a way that I am in awe at her resilence. Please find my review of this book below. I sincerely hope that you get a chance to read this book soon. Not exactly the question one might expect from a postpartum nurse, it echoed in my mind incessantly after birth. Induction, intervention, ultimately cesarean were nothing new to me…until I was the one atop an operating room table birthing my firstborn through an incision in my uterus. Brooklyn James grapples with her medicalized birth as she undergoes several unexpected health issues—fallout from a medically unnecessary cesarean, secondary infertility, miscarriage. While navigating the work and pleasure of new motherhood, there is also much shock, anger, and disenchantment over birth’s betrayal for her to work through. James finally identifies the root of her struggle: she was not prepared for the birth she might have envisioned. So then begins her exploration of all that is and all that can be in birth. The process leads her to a long overdue conversation with her instinct and her body in an attempt to surrender to, trust in, and accept the inherent wisdom within. 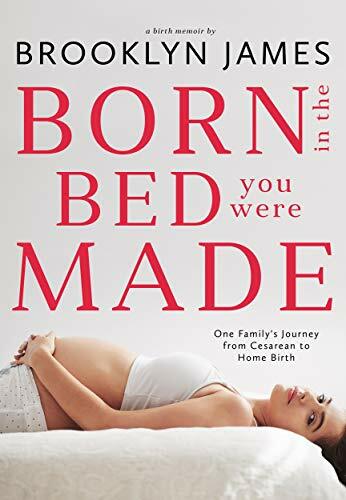 Born in the Bed You Were Made is intimate and penetrating, candid and reflective. It reveals a deeper truth about how disconnected many modern women are from birth. Most of all, it is a celebration of self-discovery found in the most obscure yet obvious, most challenging yet gratifying, role as child bearer and mother. This book is fantastic! I am not one who usually reads non-fiction or even memoirs, but having read previous fictional books written by this author, I knew that this book, being more personal, would be an emotional roller coaster ride. It didn't disappoint. The author explores her emotions and thoughts over several events that shaped her ultimate decision of having a home birth. As I am not American, I don't know how the medical insurance companies work as such, but I believe that women have the right to decide how and where they would like to birth their babies. Unfortunately, most insurance companies are run by men. I don't mean to be sexist, but its the truth. I am not a mother myself (and due to my advanced age, I may never have children of my own), but what struck me is how much this author's words touched something inside me that resounded within my inner being. She speaks of the instinctual, primitive brain (the part that handles breathing, and old emotional responses like fear, anger, love and knowing things, perhaps at a genetic level like birthing babies) and how she struggled through going against her instincts for a home birth in her first pregnancy because her insurance company didn't allow it. How this led to her having a Cesaerian that may or may not have been necessary, and later a miscarriage that taught her to trust her body and the genetic knowledge within. The author also explores the role and history of a midwife. I found this aspect of the book interesting and full of words of wisdom, from the author herself, as well as those used by her midwife and the research books the author has used. I highlighted over 70 passages throughout this book that struck a chord within me. I don't usually highlight that many things in books, so that shows how much this book has affected me. Midwives have an important role for women. They act as a library of knowledge for expectant mothers. They also guide women through the hard work of labour and birthing children. They have a unique insight into the primitive brain through observation, and medical training to handle most problems that may arise. Unfortunately, these women have not had an easy ride throughout history. They were highly respected once, but they have lost their place due to vilification (being called witches, flakes and fakes in the not so distant past) and their knowledge depleted. Hospitals and modern medicine have grown, time is short in today's society. Large pharmaceutical companies push for the use of drugs, hospitals don't have enough staff to give adequate one-on-one care for every expectant mother, and there are not enough beds for a natural birth. Hospitals have become factories - get them in and send them out as quickly as possible - and induced births, Cesareans (some necessary, but most unnecessary) have become the norm. This saddens not only me but the author too. 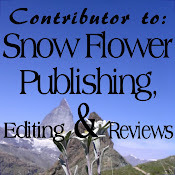 It has been an honour and a pleasure going on this author's journey. I wouldn't wish what happened to her happen to anyone else, but her journey is inspirational. I believe that women have the right to a support system like midwives along with obstetrics at a hospital, and the freedom to choose between a more economical home birth or an expensive hospital one. Modern medicine should work in concert with the more traditional methods to ensure a healthy birth experience for both the mother and child. Brooklyn James has written a story that has touched me deeply. I love her writing style, and the flow was excellent. I am now looking forward to reading more of her other books as soon as I can. Brooklyn James is an author/singer-songwriter inspired by life in the Live Music Capital of Austin, Texas. Her first novel, The Boots My Mother Gave Me, has an original music soundtrack and was chosen as a Quarter Finalist in the Amazon Breakthrough Novel Awards. The book provided a platform where it was her honor to serve as a guest speaker with a focus on awareness and prevention of domestic violence and suicide. When she is not writing books, she can be found playing live music around Austin as part of an acoustic duo. Moonlighting occasionally in voice-over and film, she played a Paramedic in a Weezer video, met Harry Connick Jr. as an extra on the set of When Angels Sing, appeared in Richard Linklater's Boyhood for all of a nanosecond, and was a stand-in and stunt double for Mira Sorvino on Jerry Bruckheimer's Trooper pilot for TNT. Although reading, dancing, working out, and a good glass of kombucha get her pretty excited, she finds most thrilling the privilege of being a mother to two illuminating little souls and a wife to the one big soul from whom they get their light. Brooklyn holds an M.A. in Communication, and a B.S. in both Nursing and Animal Science. Her nursing career has seen specialities in the areas of Intensive Care and Postpartum. With the publication of her birth memoir, she is available for speaking engagements, readings, signings, and writing workshops on how to put pen to paper composing one's own birth story. Little Astronomer books aim to encourage children to learn about Astronomy and our place in the Solar System and the Universe. From the Kid Lit Science Book series comes Once upon a Sun (book 2). The Sun, illustrated as an anthropomorphous character, shares his side of the story about his origins and his journey emerging from a Stellar Nebula to becoming the star he is today. Illustrations include kid-friendly concepts of how our Sun makes energy and takes care of our Solar System. Kids are sure to enjoy learning about our Sun through fun facts delivered with humor throughout the colorful pages. Included is a full cast of the rocky planets, gas giants, dwarf planets and Comet from the previous book. Celestial objects included are the rocky planets, gas giants, dwarf planets and a comet. 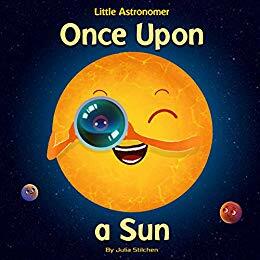 Kid Lit Science books approach early learning by combining kawaii (cute) versions of the celestial objects with comic-style graphics, and humor to present educational facts in a fun way. It makes a great addition to learning in the classroom and at home. Fantastic children’s solar system reference book! This book is an excellent way to teach a child about the solar system. The illustrations are well thought out and clearly show the sun and planets for those children who are not able to read yet, but also has words which explain in a fun way how the sun’s energy is produced. The author has given each sun and planet a personality, and I love DJ-ing Saturn - he knows how to p-a-r-t-y! I’m now looking forward to reading the next book in the series, even though I’m not the intended audience. This book is aimed at children aged from 0 to 9, but older children and adults will love it too. Julia Stilchen has written and illustrated a fantastic reference book for children. I love that she has used simple words to explain how the solar system works. The illustrations are cute and fun. I have read other works by this author, and I love the way she writes. Prior to the winter solstice, in the year of the fire dragon, (minutes before the stroke of midnight), Julia was born within the human realm, in a far away kingdom surrounded by the cactus-laden desert of Arizona. She learned to harness her daydreaming skills, practicing the craft of writing to transmute imaginary worlds into prose. 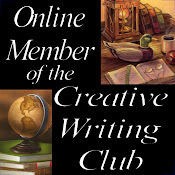 She is a member of magical guilds like SCBWI, CBI Clubhouse, and YARWA. She passionately embarks storytelling quests with an enchanted wand pen at hand. Along her journey, she enjoys befriending like-minded beings. (Some of which are mermaids, pirates, and aliens! Hee-hee) She loves spending time with her family, exploring nature, and traveling. Her favorite genres are: fantasy, sci-fi, and paranormal. 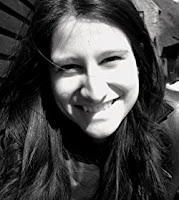 She loves writing and illustrating children’s books: picture books, chapter books, middle grade, and YA fiction categories.